It was very exciting experience. I jumped from 14,000 feet. It was free fall of one minute that speed 200km per an hour. I was able to watch cairns city,Rain forest,Great Barrier Reef and islands. 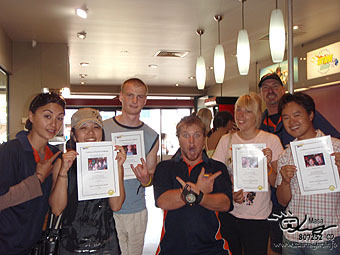 Friends of the skydiving that I participated in together! 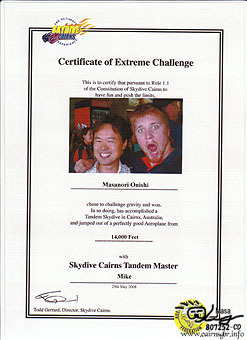 I received certificate after skydiving.